Sometimes I need some images for my blog, I know I can search images with search engines but they will give too much results. 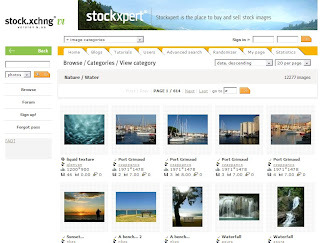 Stock Xchng is an online exchange image community, that stores more than 250.000 photos with 1.000.000 registered users. If you want looking for some images maybe that is good choice. You can browse different photos by sort, from big resolution to normal size to fit your website. If you have nice photos you can exchange them with other users. For online community, Stock Xchng has a forum lets users to chat, and post messages. If you like some photos you can download as register a user.